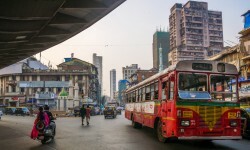 While the efforts made by Delhi Chief Minister Arvind Kejriwal in this direction can certainly not be ignored, decongesting Delhi has been one of the key concerns of the Prime Minister Narendra Modi-led central government as well. And the recent developments on the Delhi-Meerut Expressway bear the stamp of the Centre's seriousness on this front. Earlier, while the Kejriwal-led Delhi government had taken to the odd-even road rationing to ease traffic movements within the city, the central government had launched several infrastructure projects to decongest traffic around the national capital. But there also was the pressing need to ease movement between Delhi and Meerut and streamline traffic coming into the city from that side. So, the Centre took the matter in its own hands and start work on the Rs 7,566-crore Delhi-Meerut Expressway — earlier the Uttar Pradesh government was going to do it. 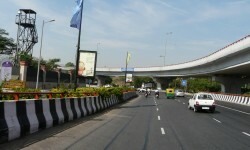 In 2016, the environment ministry gave its clearance to the construction of the Dasna-Meerut six-lane connector under the expressway. The 105.45-km-long stretch from Nizamuddin Bridge in Delhi to Meerut in Uttar Pradesh will be constructed in three stages. The Dasna-Meerut connector is to be constructed at a cost of Rs 1,658 crore. “Based on the recommendations of an expert appraisal committee, the environment ministry gave its clearance to NHAI's proposal to construct a greenfield alignment of Delhi-Meerut Expressway from Dasna to Meerut and the six-lane connector,” news agency PTI quoted a senior government official as saying. The plan to construct the expressway had been made as early as in 2000, but it had remained only on papers for long. It was only in December last year that Modi had laid the foundation stone for the project and the National Highways Authority of India (NHAI) had sprung into action to do the groundwork for the project. "We are committed to easing the traffic problems in Delhi and are taking a slew of steps. Another major milestone to decongest Delhi will be the Delhi-Meerut Expressway," the media had quoted Road Transport and Highways Minister Nitin Gadkari as saying in December last year. The minister had added that there was only one route — the National Highway-58 — between Delhi and Meerut, on which traffic jams prevailed at several places, causing inconvenience to commuters. On completion, the expressway, a part of which is likely to open for public use by mid-April, will certainly prove to be a boon for thousands of daily commuters. Travel time between Delhi and many cities of Uttar Pradesh will come down remarkably. 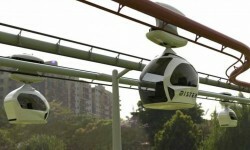 For instance, you will be able to reach Meerut from Delhi in less than an hour. How will this help real estate? According to PropTiger DataLabs' annual report for the financial year 2015-16, developers were having a tough time trying to sell projects built in city peripheries. The reason was that these projects faced connectivity issues. So, despite being affordable, they struggled to find takers. This is true of small cities, too. For example, the distance between Meerut and Delhi might not be a lot but one might be a little unsure about investing in a property in, say, Meerut, because commuting daily to work in Delhi will be a hassle. An expressway connectivity will make real estate in small towns of UP desirable, as land prices are still very low there. Developers will find it easier to acquire land and build projects; and home buyers will have more affordable options in the periphery.